This is where past news is posted so you can keep track of the site's evolution. I've posted some past news about the site and about Sailor Moon. I will try my hardest to keep this page updated. July 10th, 2K2 - Sailor Moon is retracted from Cartoon Network's line up. They did it again!!! Sailor Moon was taken off their list of programing, for how long is unknown. I have sent a protest to Cartoon Network on the way they handled this. I hope that it does some good. I need all of you to support this. Please send Cartoon Network an email about getting Sailor Moon back on. 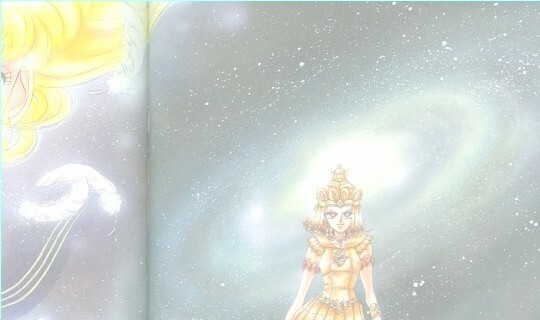 July 8th, 2K2 - Senshi Galaxy has broken 10,000 visitors. I'm overly happy. I never thought that 10,000 was possible. I bearly broke 6,000 last year...now, just past a half year, Senshi Galaxy has broke the 10,000 mark! Thank you all for your support! I'm going to make a special celebration layout for this great news!! June 26th, 2K2 - Cartoon Network adds Sailor Moon in their line up. That's right people, CN has done it. They've started from the beginning and are working their way up. It's on 3.5 Eastern/2.5 Central. Be sure to catch it if you can...or just set your VCR to record.